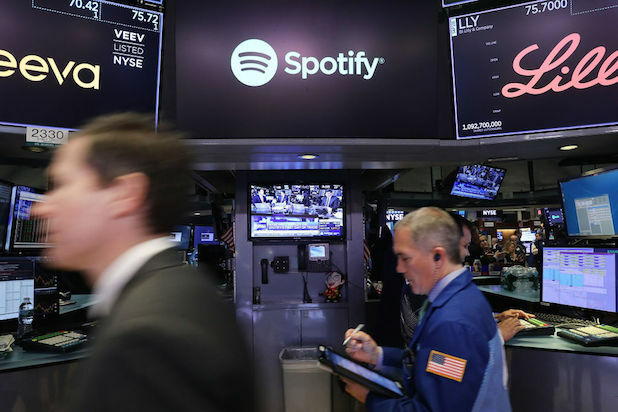 A historically-late start to trading, rapid price fluctuations, and tens of millions of shares switching hands highlighted Spotify’s distinct debut on Wall Street — the eighth biggest tech opening on record. The Swedish music streaming giant closed with a $26.6 billion valuation on Tuesday. This wasn’t your typical initial stock offering, by several measures. After opening at $165.90 and quickly surging to $169, Spotify closed at $149.60 per share after a late swoon in trading. Still, this was a 13.3 percent jump on the day, after it had been tabbed at $132 per share by the New York Stock Exchange. By contrast, shares traded between $90-$132 per share on private markets in March. 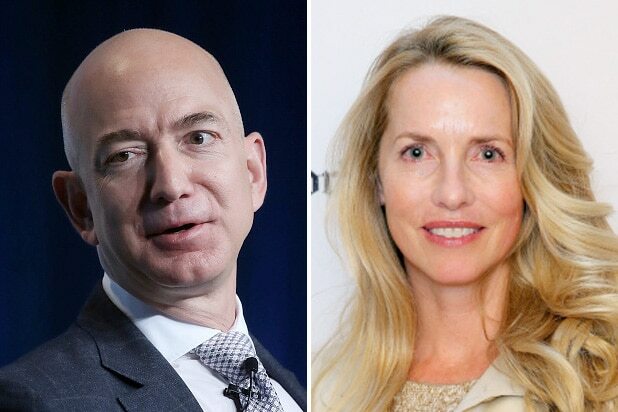 The $26.6 billion valuation made it the eighth biggest tech listing ever, according to data shared by Dealogic, and the biggest since Snapchat’s $29 billion IPO last year. Anxious investors had to wait for their orders to fill, however: Spotify didn’t start trading until 12:45 pm ET, more than three hours after markets opened — passing Alibaba’s 2014 listing as the latest opening for NYSE trading. This fit in well with the overall trend of Spotify’s debut. The Stockholm-based company bypassed a traditional initial public offering in favor of a direct listing. Rather than having a major firm underwrite its shares, Spotify allowed its shareholders to trade their shares immediately, without a lockup period barring investors from selling. This also added a layer of intrigue. A typical IPO pegs a certain amount of shares for the underwriter to sell at a prearranged price. Instead, investors waited until Tuesday morning for an idea on where Spotify would begin trading, and how many shares would be available. Spotify’s direct listing allowed its 178 million shares to begin trading immediately. Ultimately, 29.5 million shares were traded on Tuesday, making it the tenth most active listing, despite its late start. RBC analyst Mark Mahaney said, in an investor note shared with TheWrap, that the price target was based on the company’s impressive year-over-year revenue growth, a frothy global market, and tech advantages that drive users to listen to more music. Spotify goes public as the world’s biggest music streamer, with 71 million paying subscribers, and 157 million users overall. The company’s revenue swelled to nearly $5 billion last year, but its also paying record labels hand-over-fist to keep the hits coming — losing $1.5 billion in 2017. Still, Wall Street was bullish on Spotify, with RBC Capital Markets leading the charge with a $220 price target. But with Apple Music closing the gap on paying customers, it remains to be seen if the love affair continues.